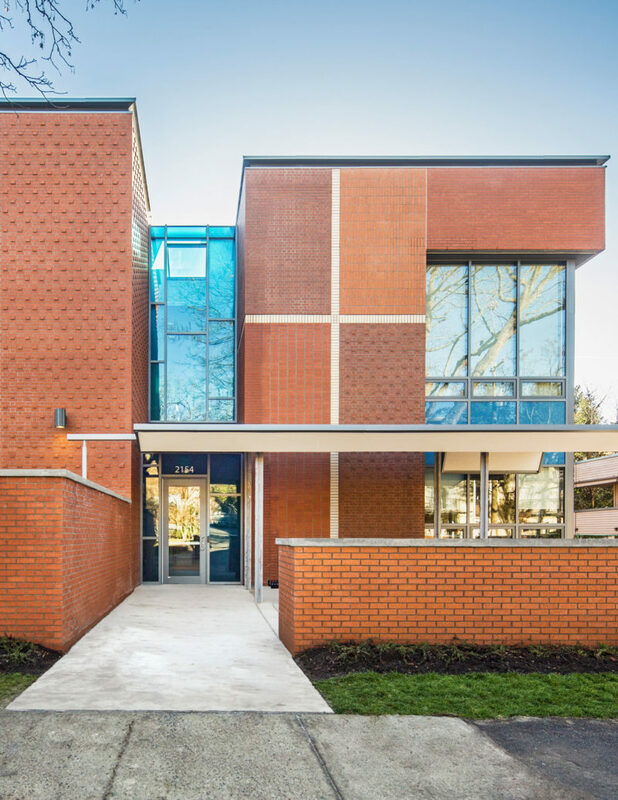 Acton Ostry Architects is a leading Canadian design practice recognized for the creation of eloquent and innovative community, public institutional, mixed-use residential, and tall wood buildings. Since our inception in 1992, we have continually demonstrated our commitment to the making of architecture that responds sensitively to social, historical and environmental concerns. Our design approach incorporates new technologies and materials that contribute to the realization of buildings rooted in a considered, modernist idiom. 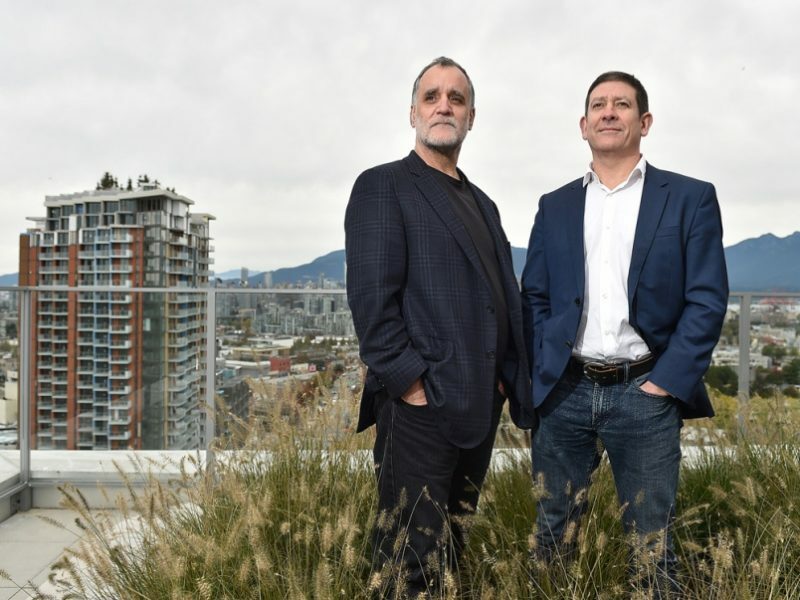 Russell Acton and Mark Ostry were recently interviewed by Naoibh O’Connor of the Vancouver Courier about Acton Ostry Architects 25th anniversary celebration. The AOA25 celebration was also featured in Malcolm Parry’s Town Talk column in the Vancouver Sun. At the interview with Warren Frey at Journal of Commerce, Russell and Mark spoke about the beginnings of the firm, their commitment to institutional buildings and highlighted some of AOA’s iconic projects. 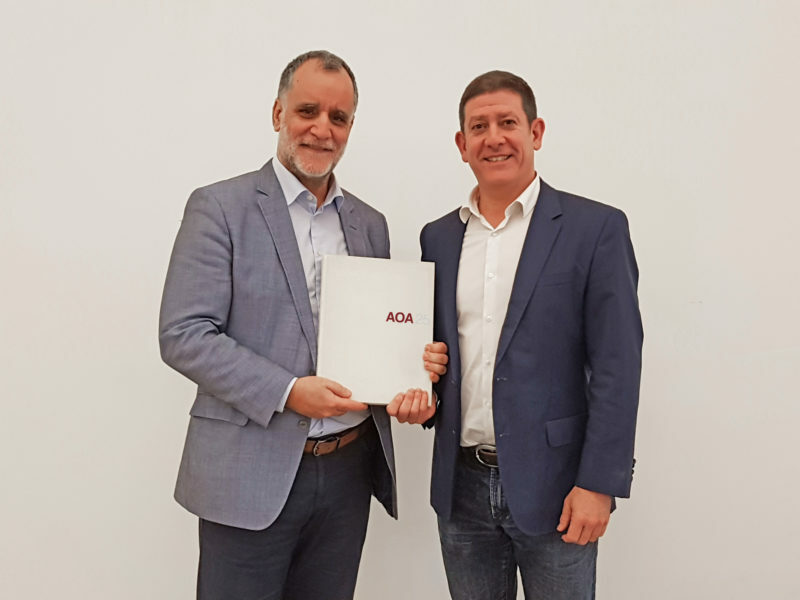 In celebration for 25 years of Acton Ostry Architects, our firm has published AOA25, a chronology of projects that hold special significance for founding partners Russell Acton and Mark Ostry. Over the following weeks we will be highlighting a selection of chapters from AOA25 on our Instagram stories. Follow our social media to find out more! 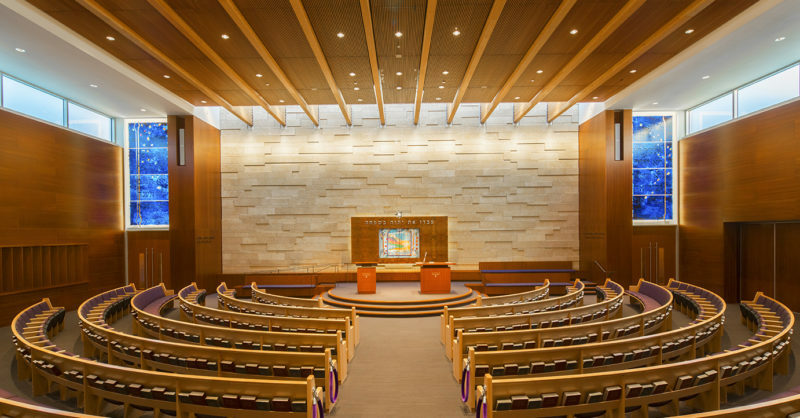 Vancouver City Council has unanimously approved rezoning for the proposed Jewish Community Centre of Greater Vancouver Campus. 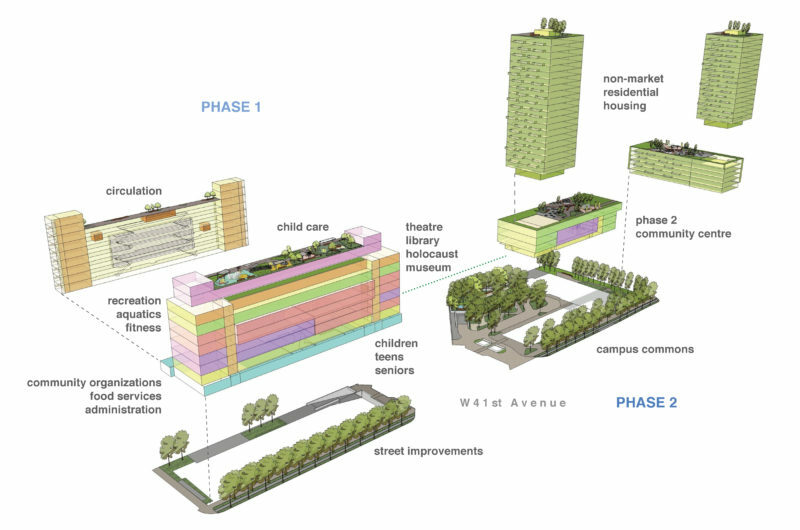 The existing community centre, located near Oak St. and W. 41st Avenue, will be replaced with a new complex that will provide program and services for: recreation, aquatic and fitness; theatre, library and holocaust museum; child care, pre-teens, teens and seniors; community organizations, food services and administration; and, non-market residential housing. 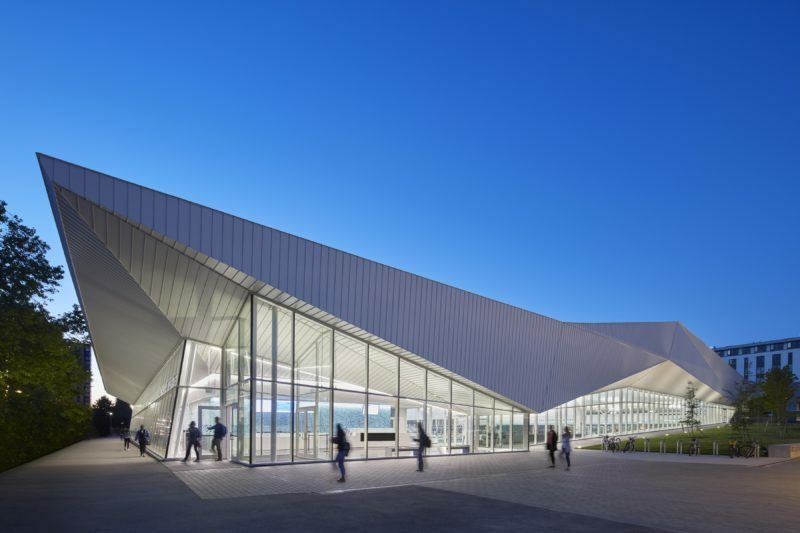 The 2018 Global Architecture & Design Awards recognized UBC Aquatics Centre, a collaboration of MJMA and Acton Ostry Architects, with the First Award for Sports and Recreation for showcasing excellence and innovation in creative architecture & design projects. 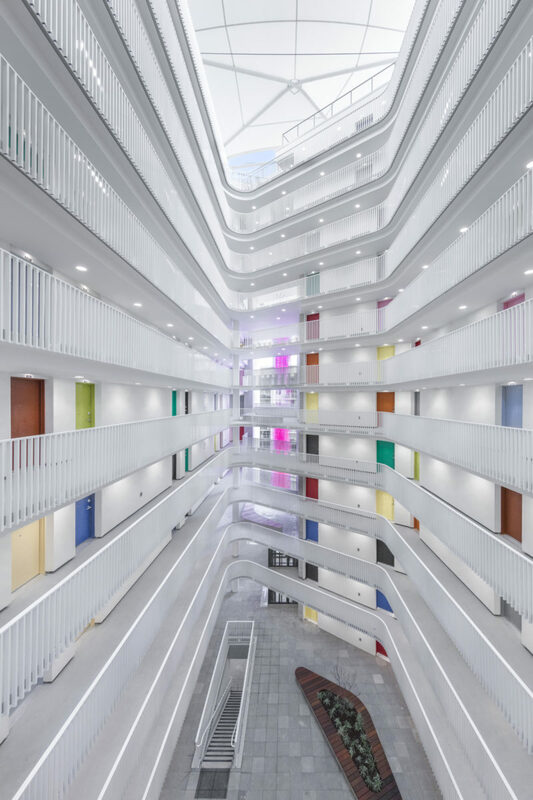 This year, 748 projects were registered from more than 50 countries, spanning architecture, landscaping, urban design, product design and interior design categories. Acton Ostry Architects is featured in the Summer 2018 issue of Design Quarterly. 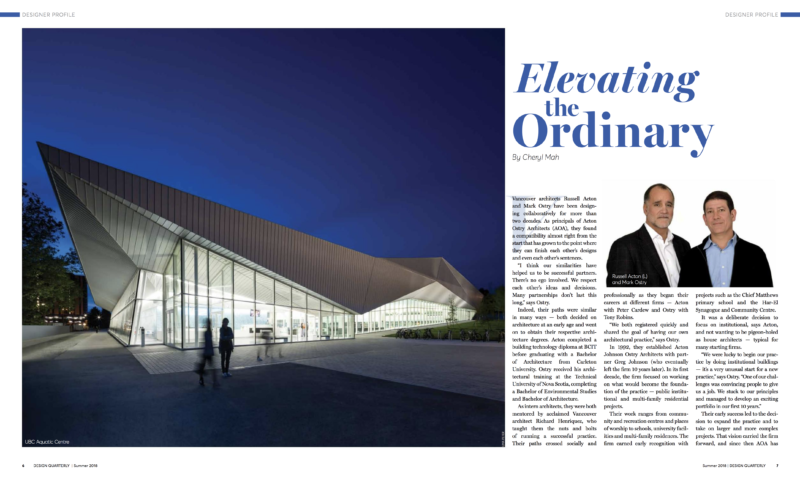 Read the Designer Profile feature, ‘Elevating the Ordinary’, to find out more about our recent projects as we celebrate our 25th year of practice.